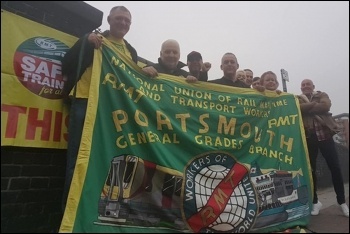 Bosses refuse to engage in serious talks with transport union RMT to reach agreement in the long-running dispute over ‘driver-only operation’ (DOO). The Socialist Party is taking part in the National Shop Stewards Network’s ‘Solidarity Saturday’ in support of the strike. 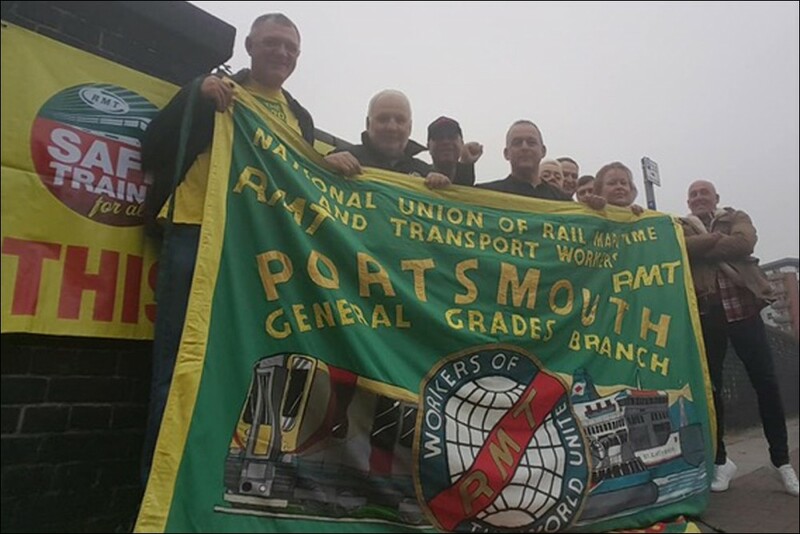 On 20 October, street stalls will take place in Southampton, Portsmouth, Salisbury, Basingstoke and Woking. Guards and drivers have four further 24-hour Saturday strikes planned in their latest phase of action this autumn, on 3, 10, 17 and 24 November. No to DOO! Save the guard!